My first encounter with novelist Deborah Jay was on Twitter, and I subsequently discovered that she also writes non-fiction equestrian books under the name Debby Lush – so she has plenty of experience to draw on for today’s top tip – something easy to apply, whatever genre you write in. Deborah Jay: My favourite is a simple piece of passive marketing: adding the most effective back matter to each of your books. In other words, it’s what you add at the end of your book AFTER you’ve typed ‘The End’. Debbie Young: How do you do it? Please give brief instructions. If you tailor your ebook individually for a specific retailer, you can even insert a direct link to where you want your reader to leave a review. Following this, add contact information (again, using direct links) for your website and social media sites, details (cover and blurb) of your other available books, and an author bio – many readers like to know more about their favourite authors and where they can find them on the web. Finally, if this book is part of a series, you might also include the first chapter of the next book – a great way to get readers to go and buy the next book immediately. You can play around with the order of these items, but the review request should always be right up there in a prominent position. 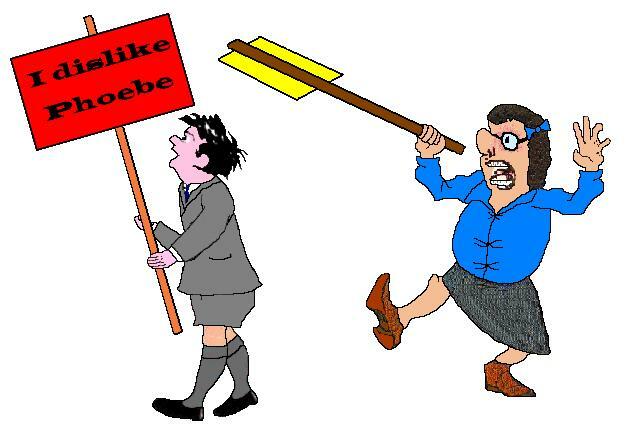 Deborah Jay: I’m a big fan of passive marketing, because it doesn’t take up too much time! Once you’ve written your back matter for one book, most of the wording can just be added to each subsequent release with little change. Admittedly you need to update each book, every time you publish a new one, (by adding cover and blurb of each new release) but that’s minimal time input compared to many marketing efforts. 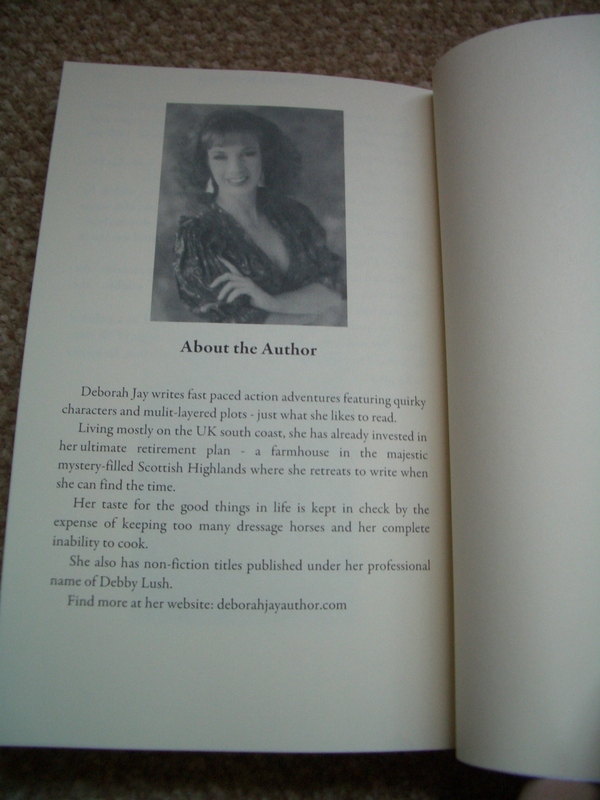 Deborah Jay: Every book and all the time! That’s the joy of passive marketing, and I know that many of my reviews have come about as a result of adding this simple, polite request. Deborah Jay: Not now. I have refined what I add over a few versions, changing author photos and cover pictures to look better in print books as well as ebooks, and I’ve learned not to mention Amazon in a version that is going to Apple, as they simply refuse to publish if you name the competition! Deborah Jay: Like everyone, I think – the amount of time it eats up. Deborah Jay: I’m currently trying to understand a bit more about how Pinterest works as a marketing tool. I enjoy making boards and sharing pictures, I’m just clueless so far as to how to use it. Deborah Jay: I’m in the middle of writing the second book in my epic fantasy series, so no immediate release news, but I’ve just added a newsletter sign up page to my website so that I can keep eager readers up to speed. 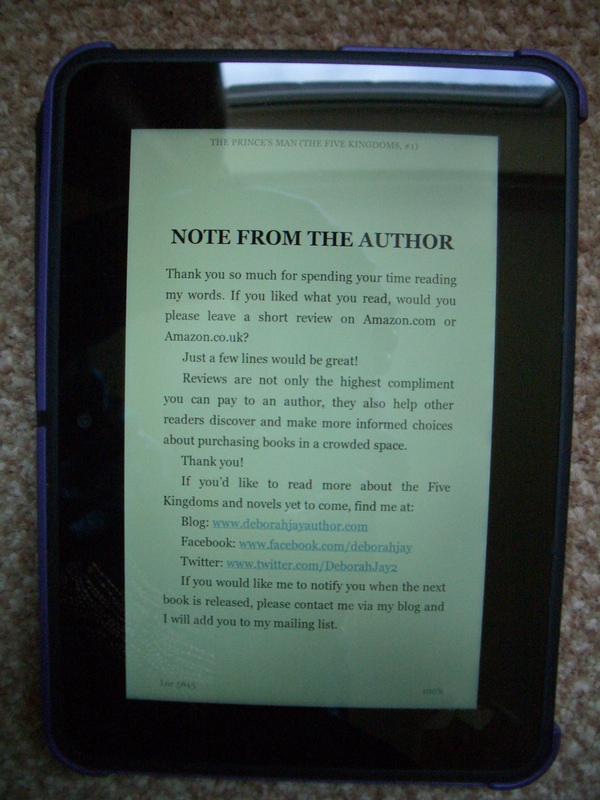 I love to meet new authors and readers on my blog, http://deborahjayauthor.com/ which comprises a mix of book spotlights, blog tours and reviews in my genres (fantasy and SF) with occasional informative posts on indie publishing subjects. All visitors welcome! Debbie Young: Thanks so much for taking part today. Lots of luck with your new book! 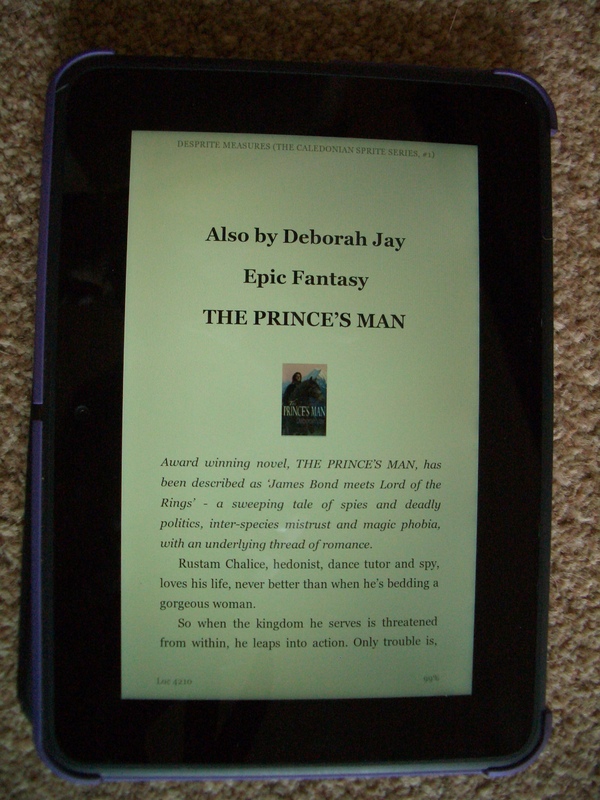 SPECIAL OFFER: This weekend (21st-22nd June 2014), Deborah Jay’s novel The Prince’s Man is just 99p on Amazon! It’s been described as “James Bond meets Lord of the Rings” – what’s not to love about that? Hop over here to snap it up. 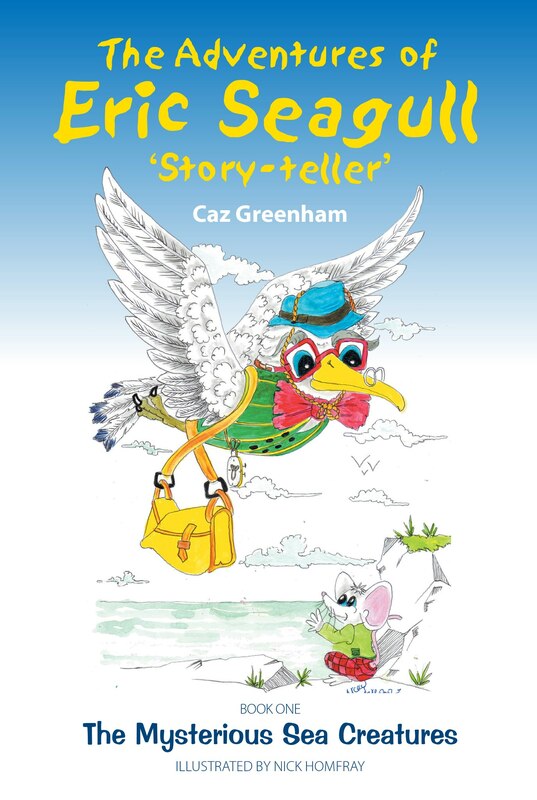 I was introduced to children’s author Caz Greenham by Helen Hart at SilverWood Books who have published the first two volumes in her series of children’s stories about her character Eric Seagull. Caz has since moved to Brixham in Devon, her favourite seaside resort which originally inspired her to write about Eric’s adventures. Her bubbly personality and willingness to talk to strangers about her book has given her legendary powers when it comes to handselling copies wherever she goes. I’m sure there are plenty more adventures to follow, for both Eric and for Caz! Caz Greenham: My best tip is talk about your book after, never before, you’ve finished your business, i.e. at the bank, or a transaction in a superstore etc. and have either a bookmark or a business card to hand over. And smile while showing your enthusiasm about your books that you’ve taken millions of hours to write. Look them in the eye. Very important. 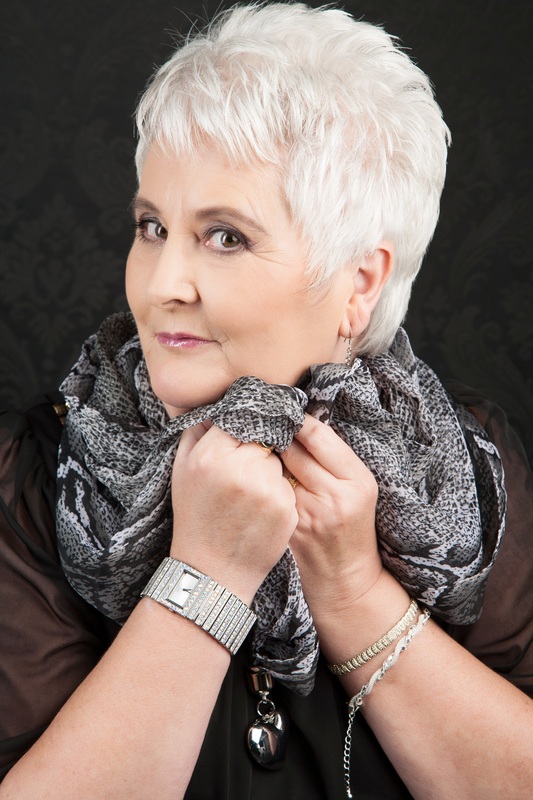 Caz Greenham: Because I actually believe in myself. 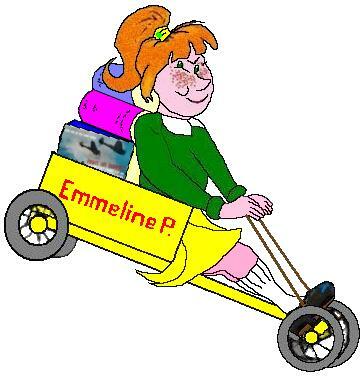 I know I’ve written a fabulous children’s book with great characters that bring my books to life. I like people and I love to chat. Caz Greenham: I wouldn’t do anything any differently with any new books. Caz Greenham: The worst part for me would have to be public speaking. I’ve health/voice issues which prevent me from talking for very long. So that would never be an option for me, and one I would avoid at all cost. It’s not a confidence thing. I’ve plenty of that. 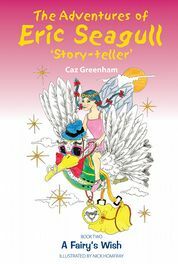 Caz Greenham: I have to say that Caz’s Blog Diary (Caz’s personal blog, accessible from a link on her author website) isn’t perhaps what others might expect – I’m doing it my way. I’m not climbing any Corporate Ladder of Success, here. I’m writing for me first, and the public second. I’ll always write to the best of my ability and hope my readers enjoy the journey with me. I’m not one who finds it necessary to impress anyone with boring stats about sales of my books, and I never brag. I have no intention of joining the long ‘List of Boring Writers’ that appear to do just that most days on Facebook, and Twitter. I’ll never be that sad, for life is for living and enjoying and not, in my opinion, for trying to impress others along the way. I wonder what these writers expect to gain, I guess a big pat on the back and another click on the Like button. Debbie Young: Caz, I’m sure our readers here will find your energy and enthusiasm uplifting and inspiring. Thank you so much for joining Off The Shelf today. I was introduced to English novelist Peter St John by Helen Hart at SilverWood Books and I had the pleasure of meeting him at SilverWood’s super Open Day event in January at the Bristol branch of Foyles. A couple of weeks previously, I’d enjoyed reading Gang Loyalty, one of his charming novels about a young boy evacuated to the English countryside during the Second World War. His book chimed particularly with me because my own father was also an evacuee who had told me tales of his own war-time experiences. Peter has taken an original approach to the standard questions on this weekly spot, involving one of the characters from the “Gang” series of books, Jenno Bryce, who has her own special presence on Facebook and Twitter to fly the flag for Peter’s books. Peter St John: My Public Relations Officer, Jenno Bryce, is a feisty lass from my “Gang” series of novels who is not afraid to speak her mind. Unlike me, she has an outgoing, devil-may-care attitude, useful for making contacts. The main problem is that we do not always see eye to eye on matters concerning ethics and tact. She also has her own idiosyncratic ideas about what constitutes correct English grammar and spelling, but to keep the peace I have learned not to criticize. After all, if it weren’t for her, where would I be with my promotional activities? ..and meet Jenno, his PR Assistant! Peter St John: In fact Jenno does most of it. I simply draw attention to various themes that might be of interest to potential readers. Jenno is good at thinking up aphorisms on these themes. She usually suggests a drawing to go with them, but leaves me to create the pictures which I do using Microsoft Paint. She sometimes grumbles about the quality, but as I accept her grammar, she has to accept my drawings. I haven’t yet had any (well, not much) adverse feedback from the great internet public on all this, but that’s because most people are kind and tolerant. The results of our joint efforts on text and pictures are posted daily, in various forms, on Facebook, and Twitter. Some finish up at irregular intervals on Jenno’s blog, and some even become illustrations in the “Gang” series of books. Peter St John: Apart from disputes between Jenno and myself, which are usually lighthearted and never (well hardly ever) acrimonious, the activity is enjoyable. It brings pleasurable contact and interchange with many people across the world. Jenno huffs and puffs sometimes when she thinks she’s not getting enough of the limelight, but that’s not to be taken too seriously for she has an optimistic outlook most of the time. She doesn’t bear grudges. Peter St John: Jenno and I have worked at this on a daily basis for almost three years, and have produced nearly a thousand illustrated “Jennoisms”. Some are directly linked to the six novels in the “Gang” series, others have an indirect connection in that they sometimes portray one or other of the characters which appear in the novels. Peter St John: There have been a few difficulties associated with employing a character from my “Gang” books as my Public Relations Officer. This is chiefly because Jenno necessarily remains confined to the time frame and context of her World War II village of Widdlington. Even so, now that Jenno and I have got used to working together and have achieved some small measure of success in attracting followers and fans, I would not really want to do what we do any differently. All six “Gang” books are available in Amazon Kindle format. This is in no small part due to Jenno’s cheeky optimism. Each of the Kindle “Gang” books is illustrated.Four of the six books, have now been published in paperback by SilverWood Books. Three of them are illustrated with around sixty drawings each. A fifth, “Gang Warfare”, is due soon. Peter St John: What I like least is the clamorous jostling competition for statistical signs of “success” in terms of number of “followers”, number of five-star reviews, position in Amazon “rankings”, sales figures, and so on. These have little to do with the craft of writing. This is often coupled with requests for “likes” and/or shares. 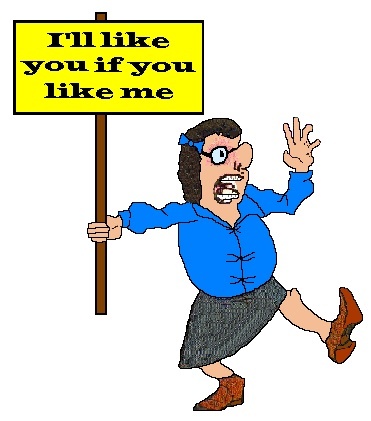 I find the syndrome of:” If you like me, then I’ll like you,” disturbing. If I like somebody’s work, I’ll say so without prompting. If I don’t like it, I’ll say nothing. Peter St John: I find very appealing the idea of talking to young people about our rich English language, and arousing enthusiasm for using it to express ideas, emotions and images. As I live in a French-speaking part of the world, it is not easy to put this idea into practice. Peter St John: All the books in the “Gang” series have been published in paperback, but the original publisher of the first three has gone out of business, so two of them are out of print. This situation is being remedied by SilverWood Books with new and illustrated editions. The latest, Gang Spies, was launched early in March with a book trailer: http://www.youtube.com/watch?v=-sOdqudc5-Y. I am also pleased to announce that another, Gang Warfare, is in course of preparation and should be ready for launch in the early summer. This I hope will be followed before long by “Gang Rivaly” to complete the current series. A description of the series may be found on the website: http://www.peterstjohn.net/index.htm. Meanwhile, a plot outline has been prepared for a brand new seventh book in the series. A tentative title is Gang America. The intention is to describe the dramatic impact, on Jenno’s English village of Widdlington, of the coming of the United States Army Air Force at the end of 1942. Thank you, Debbie, for inviting me to be a guest on your blog. Debbie Young: It’s been an absolute pleasure, Peter, and I’m looking forward to reading more of your books. Goodness knows what Jenno will make of the American visitors! Peter St John was born in London, at a time when worthless shares, and workless men littered the streets. His baptismal gift from two of the apostles was hard to live with in a Church-run orphanage destroyed in 1940 by Hitler’s blitz. He was evacuated from the ruins to the countryside, where the Nazi aim again missed by a hair’s breadth.“Grammar” school was “Granpa” school: young men at battle replaced by oldies… and bright young women. As an eager Air Force pilot, Peter navigated the winds, envied the birds, and learned the “arts” of war.Back in Civvy street, Peter discovered marriage, fatherhood and Australia. He studied engineering and put letters after his name. Aimed for the moon at Woomera, but hit the rusty desert instead. It’s bloody hot, mate, in the sun; bloody cold at night. It’s bloody deadly too at times, but strewth, so bloody lovely. Came Sputnik, and the Cold War space-race. Peter rocketed to lend a hand in Europe, and discovered Paris, languages, and ELDO*. An office on three continents; one in sweltering French Guyana. Who’d volunteer for Devils Island except to rocket into space? But Europe’s leap to orbit was crippled by political irresolution. ** So back he went to Australia where Peter now daily took “the liberty boat from shore” to reach the Navy’s concrete HQ “ship” in Canberra. But the bold project for which he strove never saw the sea. His ship was again scuttled by politics. And so to fiction, with his first novel published in 2007. This has been followed by seven more. 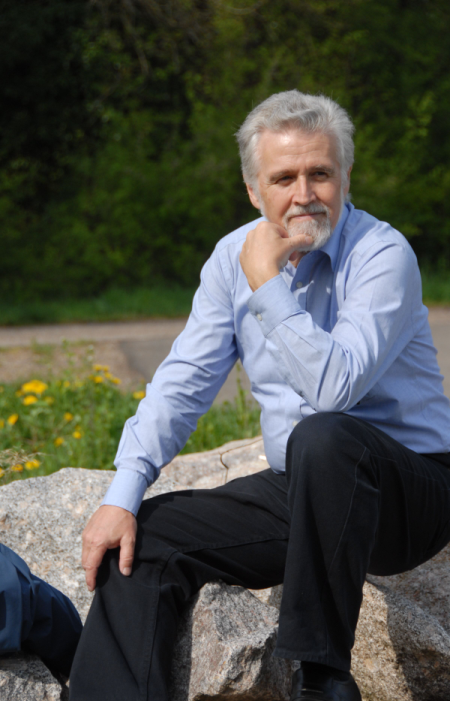 Peter lives in France where he is president of a cultural association active in the promotion of creative activities. He has a son, two grandsons, a great-grandson and a great-granddaughter. * The long-defunct European Launcher Development Organisation. **Subsequently re-activated as the European Space Agency with the highly successful “Ariane” project. I was introduced to Swiss novelist and former professor of literature Rudolph Bader by Helen Hart at SilverWood Books, after I’d admired his intriguing book cover. I then went on to read and review his book, which I very much enjoyed, and it was a pleasure to be able to meet him in person to interview him a couple of years ago. I’m delighted that he is now able to join us on the Off The Shelf blog to share his top tip for marketing his self-published novel, The Prison of Perspective. Rudolph Bader: Spend a Saturday in a bookstore. Prepare a small display of your book on a small table, possibly with a poster of the book cover and yourself, and a chair to sit down for your book-signing. Slowly walk around the store and approach customers politely and convincingly. Sell them your book by conviction (not coercion). Rudolph Bader: By all means be well-dressed (not over-dressed), well-rested (so you feel good about yourself) and remain polite throughout. Be relaxed and smile naturally. Approach customers with a friendly question, such as, “Excuse me, please. Do you read novels?” Show them your book, let them read a page or two and involve them in a pleasant discussion. Let them see the qualities of your book. Avoid all cheap sales tricks, but respect your customers. Use your natural sense of humour without getting too pushy. Don’t try to persuade them once you see they’re not interested or under time-pressure, but use genuine arguments if they show a certain degree of interest. Be relaxed, and let your charisma and the real qualities of your book convince them. Like this, about fifty per cent of the customers you approach will definitely buy your book, and you can sell more than 60 books on a good Saturday. Rudolph Bader: I like talking about books, about literature, about the writing process, and I like talking to friendly people with similar interests. It gives me a sense of real achievement when customers like my book. Sometimes readers who bought my novel on a previous book-signing event come back to thank me for my book and the pleasure it has given them. Contact with my readers is the most rewarding experience indeed! Rudolph Bader: I have used this strategy with my novel, The Prison of Perspective (published in 2010), through 2010 and 2011. Unfortunately, Waterstone’s Bookstores discontinued such events in mid-2011, so that was the end of that. Silly really, but it was obviously due to complaints from customers about authors who were too pushy and pressed customers into a corner. I only hope they will resume the old practice in time, they should vet their authors before allowing them to do book-signing events in their stores to prevent unpleasant situations for their customers. Then the scheme would work wonderfully, as indeed it did in my case. I made quite a name for myself among the branch managers throughout the South East of England. Rudolph Bader: No, I would do it exactly the same way. It was so successful. Rudolph Bader: Heaving my books from the nearest car-park to the store. And, of course, the rare unfriendly customer. 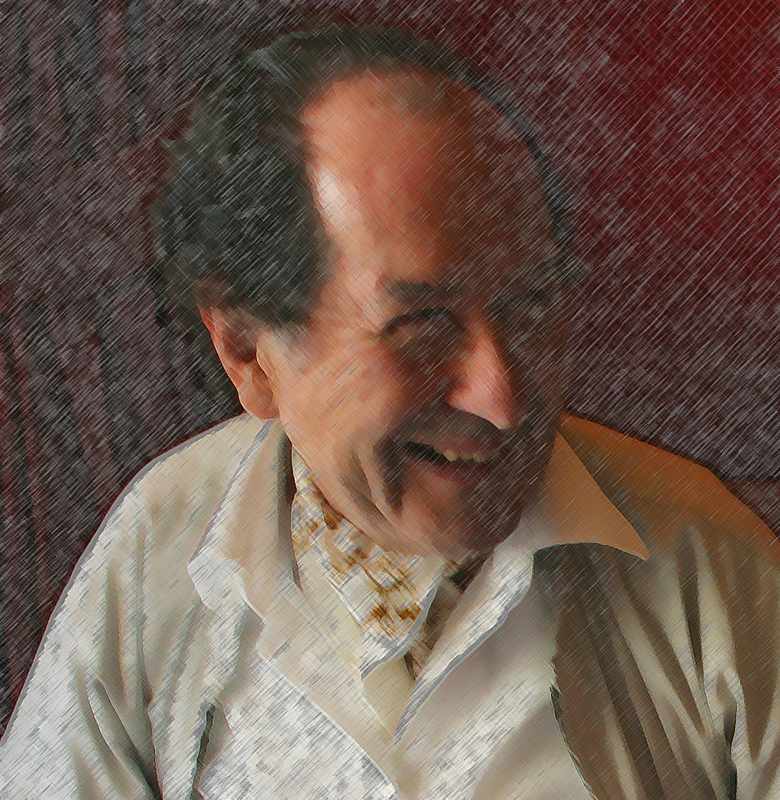 Rudolph Bader: Taking part in discussions on literature in general and on my novel in particular on the radio or on TV (after all, I used to take part in such general discussions during my time as a university professor of literature). 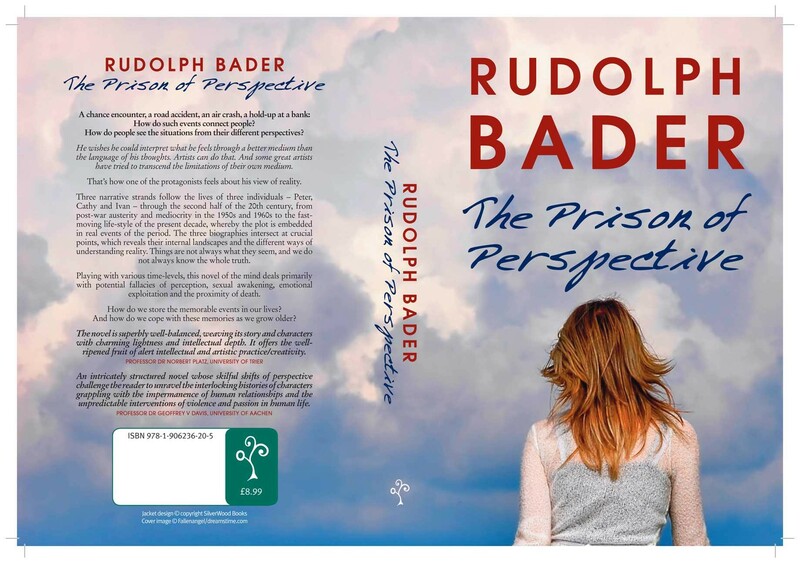 Rudolph Bader: For me it is very important that the quality of my books should sell them, not my person. I passionately disagree with today’s sales strategies in the book market, where “big names” of authors are created by the PR people. For me, “bestsellers” are no proof of quality, while books by really good authors may of course become bestsellers. For me, the big question is: How can I promote my book without putting myself in the foreground too much? How can I publicise the real qualities of my books at affordable costs? Debbie Young: Good questions, Rudolph, and I hope you’ll find some helpful answers both on this blog and in my book promotion handbook Sell Your Books! I met Samantha Warren, who writes vampire novels, through the Alliance of Independent Authors. When I heard Samantha use the phrase “passive promotion” to describe her top book promotion tip, I couldn’t wait to ask her more about it. (I also loved her phrase “Spammy McSpamface”!) Thank you, Samantha, for sharing your top tip here today, via the usual questions. 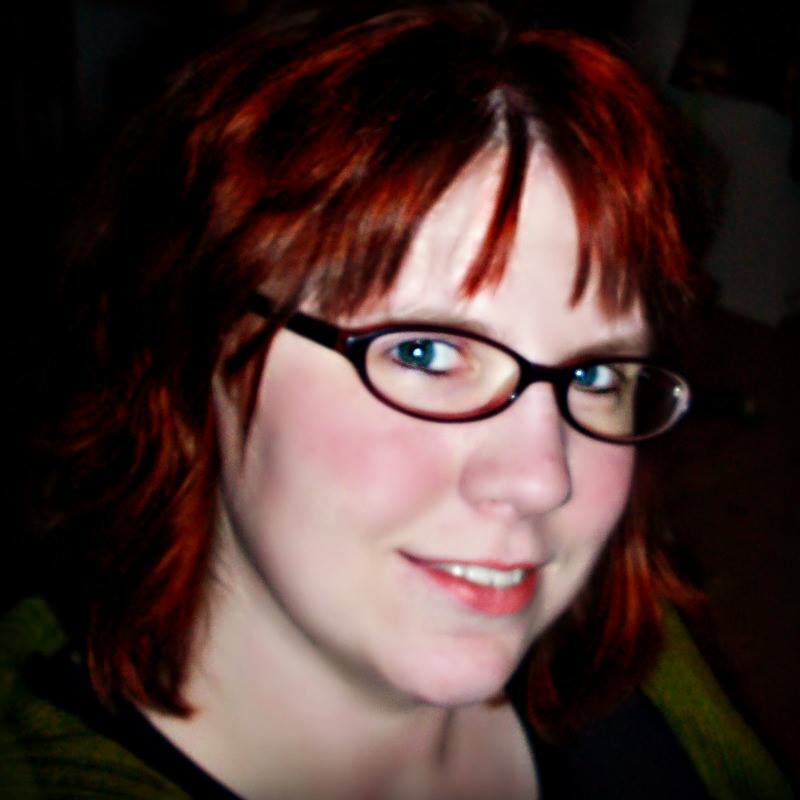 Debbie Young: What’s your favourite book promotion tip? Samantha Warren: My favorite way to promote books is through what I like to call Passive Promotion. Debbie Young: How do you do it? Samantha Warren: Passive promotion is pretty simple, but it’s also very hard and takes awhile to work. It’s as easy as talking to people. Hop on Twitter, Facebook, what-have-you, and get sociable. Join groups, find new friends, and talk to them. Not just about your books, but about your life, their life, everything. The goal is to be real and to connect with each reader, one at a time, personally, before you even try to sell them your book. They get to know you, they get to like you, and then they become one of your biggest fans. As Neil Gaiman says about writing, it’s as simple as that. And as hard. Another quote (paraphrased) that I like is from Chuck Wendig. You don’t “find” your readers. You EARN them. Samantha Warren: Passive promotion takes a long time to work, but in the end, it’s worth it. You find your true fans, those who will buy any book you write, even if it’s not in a genre they normally read. They’re the ones all the writers who say “Find your 1000 true fans” are talking about. It’s these people, the ones you connect with on a deeper level. Those are the ones you want. Not only do they become readers, but they become friends. Who could ask for more than that? Samantha Warren: I’ve employed this method since the beginning of my journey for the most part. I used to be Spammy McSpamface, and that kind of sucked because I hate self-promoting. But while Passive Promotion is difficult and takes a long time to work, I learned that it seems to work better than any of those ads I wasted money on, and it’s the only fool-proof way to sell books. Samantha Warren: Nope. It can pretty much only be done one way. Be you, be true. The more I do it, the more I realize who my core readers are, and I can see that core group growing. And it’s awesome to know it wasn’t from money spent. I didn’t have to buy their loyalty. It’s because we interacted and became friends, and that’s just the bees knees. 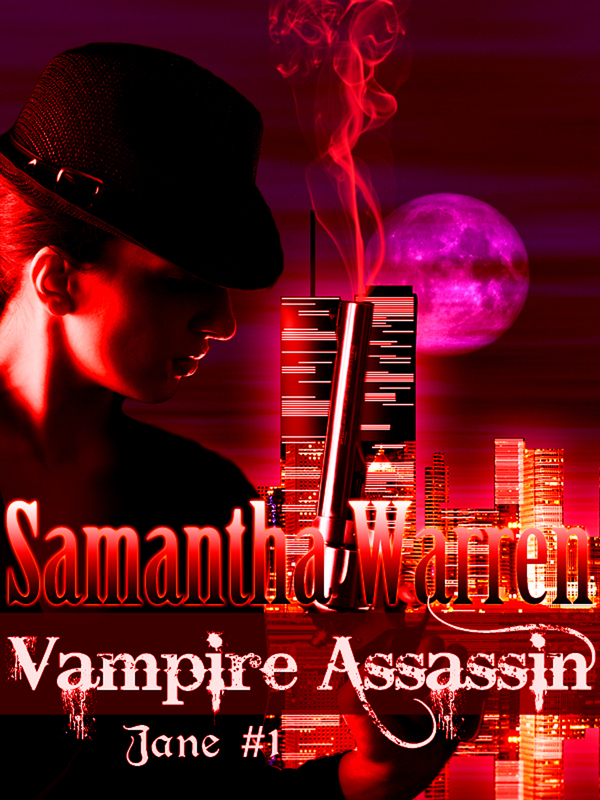 Samantha Warren: I just released the 10th and final book in my vampire novella series on April 10th. 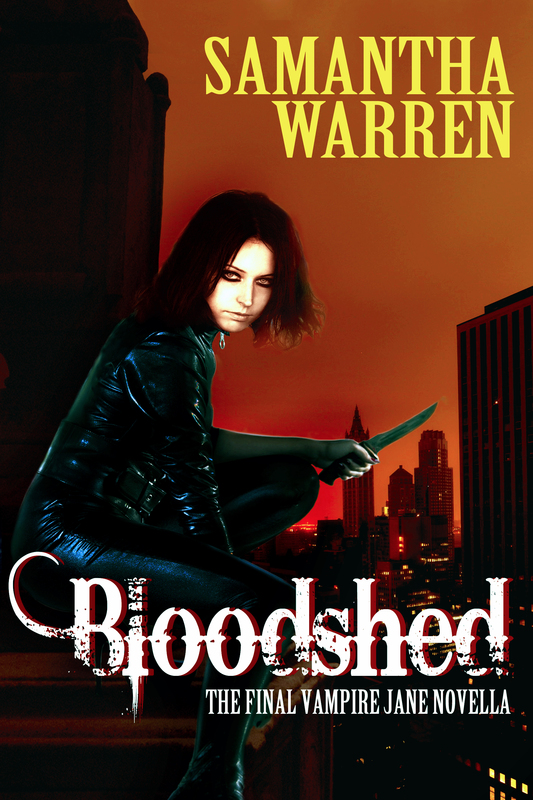 Jane started with Vampire Assassin which is free on all formats. To find out more about Samantha Warren and her books, please hop over to her website: www.samantha-warren.com.